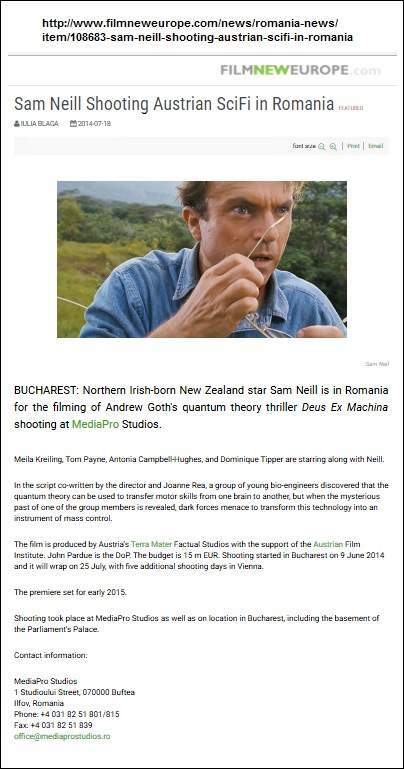 "Shooting started in Bucharest on 9 June 2014. . . ."